Just 1 Rug Left. It is a beautiful black and white design. Call for more information. 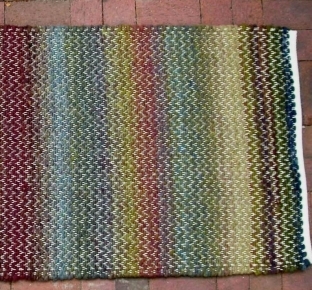 Check out these amazing Handwoven and Hand-dye 100% Alpaca Rugs. These are true works of art!!! Notice the cool colors and the workmanship. 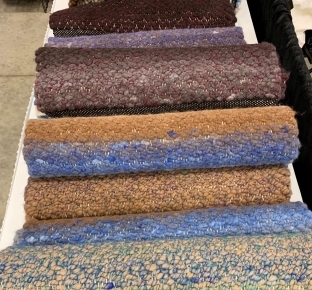 These are truly one-of-a-kind, dyed and spun by our friends at Spinderella Fiber Mill and woven by our friend Deanna. Call before it is gone!! !